IECA Australasia and Lake Macquarie City Council are hosting a workshop on the removal of sediment from captured waters. IECA Members $99 (inclusive of GST). Non-IECA Members $165 (inclusive of GST). Full details reproduced from their flier below. The Australian National Committee on Large Dams (ANCOLD) recently released its guidelines on ‘Regulation and Practice for the Environmental Management of Dams in Australia‘. A one day workshop is being held on Monday 20 October at the National Convention Centre in Canberra to raise awareness of a range of environmental issues raised in the guidelines and which practitioners need to consider at the various stages of planning, constructing, operating and decommissioning dams. The workshop will also present case studies on the application of the guidelines around Australia and have a panel discussion on the guidelines. More information on the workshop can be found in the flyer; details of the workshop program can be found in the program. 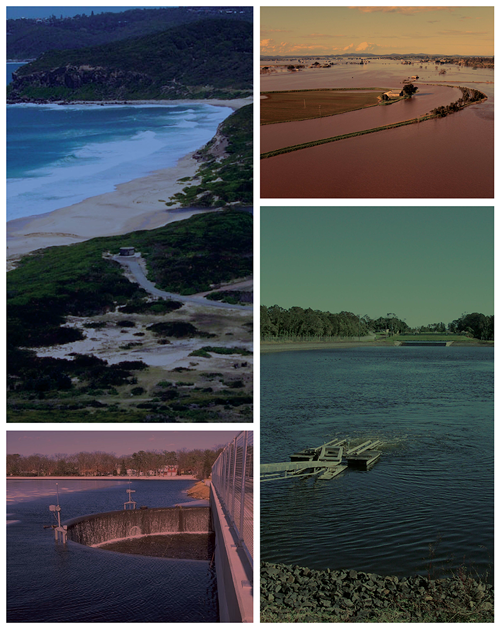 The Western Sydney Salinity Working Party, hosted by the Western Sydney Regional Organisation of Councils (WSROC Ltd) in partnership with the Department of Environment, Climate Change and Water (DECCW), was established in 1999. This group has representatives from each of the 14 Councils in Greater Western Sydney, as well as from relevant agencies and the development industry. Following on from the success of the 2005 and 2007 Urban Salinity Conferences convened by the Western Sydney Salinity Working Party and due the ongoing need for awareness raising and education relating to urban salinity issues, the 3rd Urban Salinity Conference will be held on the 8th and 9th June, 2010. Increase the understanding of all of the issues that relate to urban salinity across local government, state government agencies and the building and construction industry. Provide delegates with an increased level of understanding of salinity issues from the “green fields” planning stage to the post development stage. Provide delegates with the knowledge, motivation and skills required to continue to develop effective projects that will reduce the effect of salinity in urban environments. Provide delegates with ample opportunity to participate and share knowledge on this issue during the two days of the conference. Encourage the development of networks across a range of sectors that can be strengthened after the conference. On behalf of the Conference Organising Committee we would like to invite all professionals who deal with the effects of salinity in an urban environment to attend the 2010 UrbanSalt Conference.